SO WHO IS THIS "MASTERTECH" GUY, ANYWAY? Me? My name is Bill Kelly, I am the MASTERTECH - - In 2002 we decided to relocate from Hawaii, on the "Big Island", Konaside to the Florida panhandle. I was able to purchase a nice place on the East Bay in Navarre (since relocated a bit more north to Milton, Florida). I grew up in LaPorte, Indiana, on Pine lake. Been an outboard nut since my grandpa gave me an old Johnson 2 1/2 HP motor when I was 8 years old. Ran it on a Star craft "tin" 12' boat. Star boat and tank in Elkhart, Indiana built more stock watering tanks than boats in those days! One thing led to another, here I am. by OMC, 1977. Our racing team won many national championships, set competition records, achieved numerous "US-1" high points in class in Outboard Performance Craft (OPC) competition. "We beat the Factory teams"! 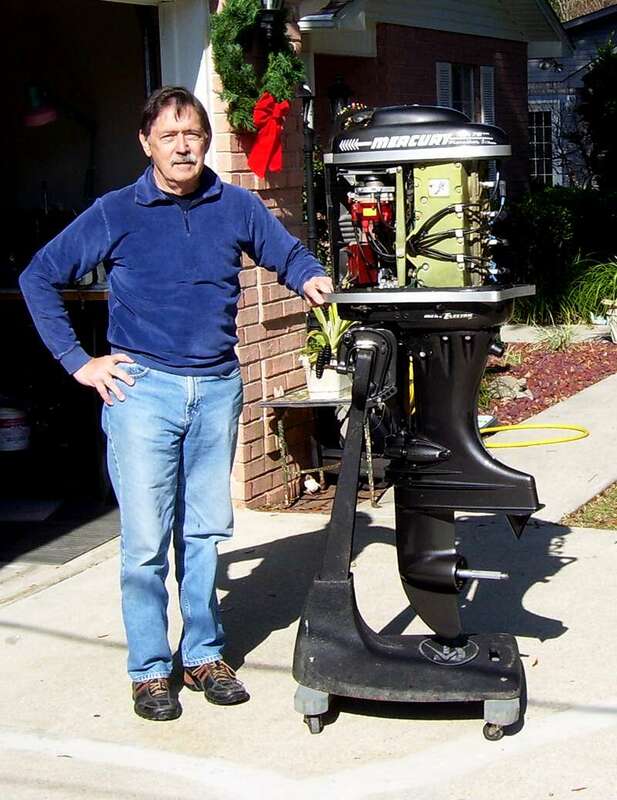 I also enjoy collecting and restoring "antique" outboards and associated boats and gear. During the off-season you can usually find me in the back of the shop resurrecting a classic. SO WHO IS THE OTHER GUY YOU'VE TALKED TO? I've been in the marine parts business since 1990, and have worked with Force, Chrysler, Mercury, Johnson, and Evinrude outboards, & Volvo Penta, Mercruiser, and OMC stern drives along the way. 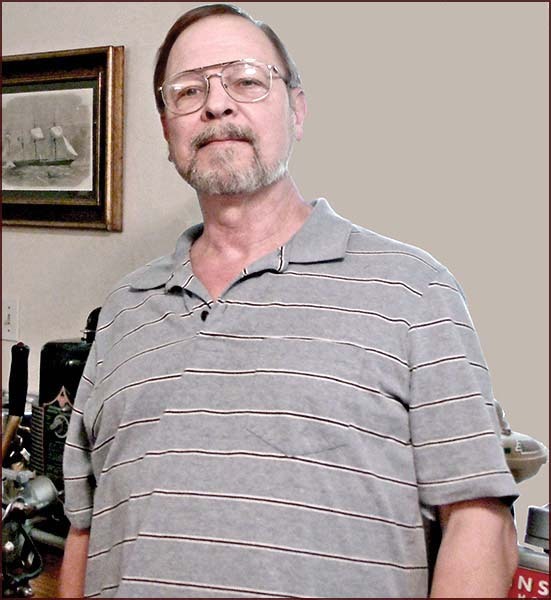 I came down to Florida in December 2005 to help Bill out, since the operation was beginning to overload the abilities of one man to keep up with and he needed someone who knew the marine parts business. That worked out well because the last dealership I was at (for 11 years as Parts Manager/Service Writer) was about to close its doors for good. I've also been a computer nut since the days of Windows 95 and the original Netscape browser. I learned web design mostly by trial & error and have been fiddling with it ever since. Looks like Bill got 2 "employees" for the price of one! I'm responsible for the upkeep and ongoing design of the site as well as answering Quote Requests and processing website orders here at Mastertech Marine. If you find something wrong with the website or have parts questions I'll be happy to help you. Just shoot me a message via this Price Quote link, also found under "Company Policies" on the menu above. "As you may recall, within the last 2 weeks, you responded to my problem with my 1995 Johnson 40 HP and your diagnosis was right on. I effected the repair for a mere $32.00. I'm sure this would have been $300.00 at my local dealership. PS I also purchased an OMC service manual from you, thanks! Jim Wrenn"